Apple Days Festival won’t be held this year due to a lack of fruit. Some years just don’t work out like you want them. I’ve been a Cubs fan for 36 years, and last year was the first year I was actually rooting for my team in late October. 2016 will also be remembered as “the year of the tree fruit,” where almost all fruit trees tip-toed through the spring frosts to have bumper loads of amazing fruit. 2017? The Cubs are still in it, but I don’t know how we will even come close to the World Series again. The vegetable gardens and farms, if they were able to weather the dry and hot month of June, should do great, barring early frosts (knock on wood). But tree fruits? Nada. Nothing. Zilch. Sure, we had some pie cherry trees produce fruit here and there, and a couple of apple trees that bloomed late have some fruit. But it has been a rough year, and even the areas that seem to produce every year – Hermosa, the north Animas Valley and Montezuma County – are bare. So because of the dearth of fruit, we are sad to say that we will not hold our Apple Days Festival this year. 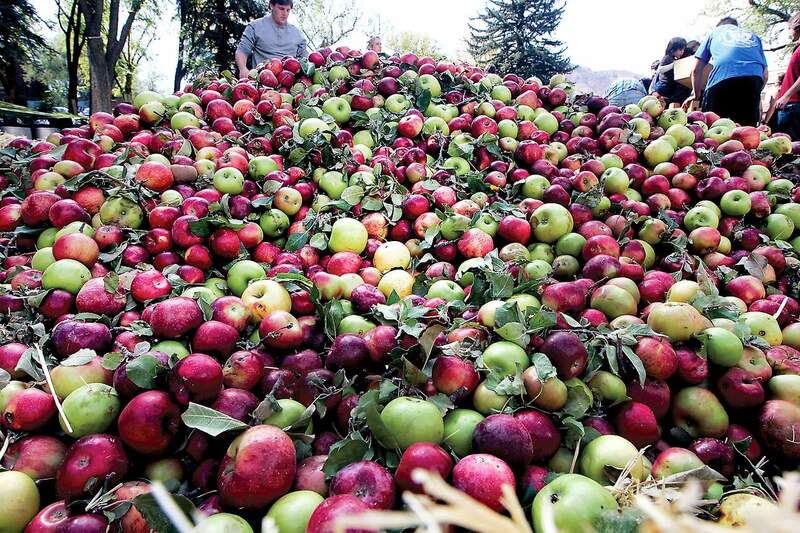 During the past nine years, we have celebrated the apple with a huge pile of them the first Sunday in October. But I’m not sure we could fill a couple buckets this year. But I promise we’ll be back, just like the apple. HHHIf your garden (or farm) is (over) producing, please think about sharing the excess. In cooperation with the Durango Food Bank and Cooking Matters, the Colorado State University Extension Office asks for any locally harvested crops to be donated to the Produce Bounty, which provides fresh produce to community members in need. Donations can be dropped off from 9 a.m. to 5 p.m. Sept. 16-17 at the La Plata County Fairgrounds, 2500 Main Ave. We will clean and sort the produce, which will be given away at the Commodity Food Distribution on Sept. 18. If you have any questions, please contact me. And thank you, it means a lot. Truly.